Taking someone on a first date can be a daunting task. Where will you take them? What will you talk about? How can you make it one to remember? Well we have planned you the ultimate first date with no room for awkward silences. Stick to this plan and you will be on date 2 in no time! Burleigh Hill is where all the magic happens. It has to be the most romantic place on earth! Grab a rug and some nibbles and take your date on the picnic of a lifetime. 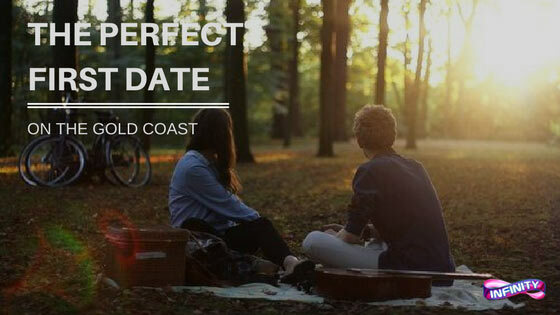 Get to know each other as you laze on the lush grass and gaze out over the pristine waters of Burleigh Beach and the magnificent view towards Surfers Paradise. Time to have a bit of fun. Drive your date up to Surfers Paradise for an experience we can guarantee they will not find elsewhere! Ignite all of your senses as you giggle your way through a series of seriously trippy illusions. You and your date will have so much fun together that they will be asking themselves where you have been all their life! Tantalise your taste buds at one of Surfers Paradise top restaurants ? Tribeca NYC. This classy dining option offers a smorgasbord of food options. All meals are themed around the local New York cuisine and are absolutely to die for! You now have to kill some time for whats next so this is the perfect opportunity for dessert. What do we suggest? Whatever your heart desires! Lucky for you, youre surrounded by options. If youre in the mood for a sickly sweet donut thats oozing with goodness, then stop by the Donut Time window on Cavill Ave. If chocolate is what you crave then Max Brenner is at your disposal! Feeling some Ice Cream? Ben and Jerrys are around the corner. Now to end your evening on the most romantic note possible. Take your love interest to the Natural Bridge in Springbrook National Park! The inside of the cave is filled with glowworms that show their true glory in the dark of the night. Its a bit of a drive, but totally worth it, and luckily you have a whole days worth of activities to talk about in the car ride out there! So there you have it, the ultimate, most perfect first date you could ever imagine. What are you waiting for? Time to make a reservation and grab your infinity tickets!